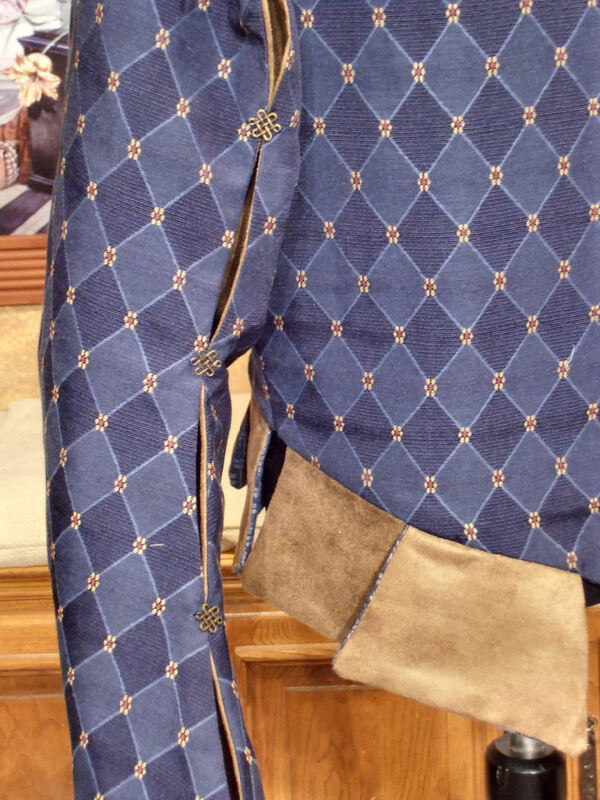 UPDATE 7-22-13: As a free upgrade, I’m offering loops and shank buttons on the sleeves so they can be easily taken on and off rather than the sewn-on metallic charms. 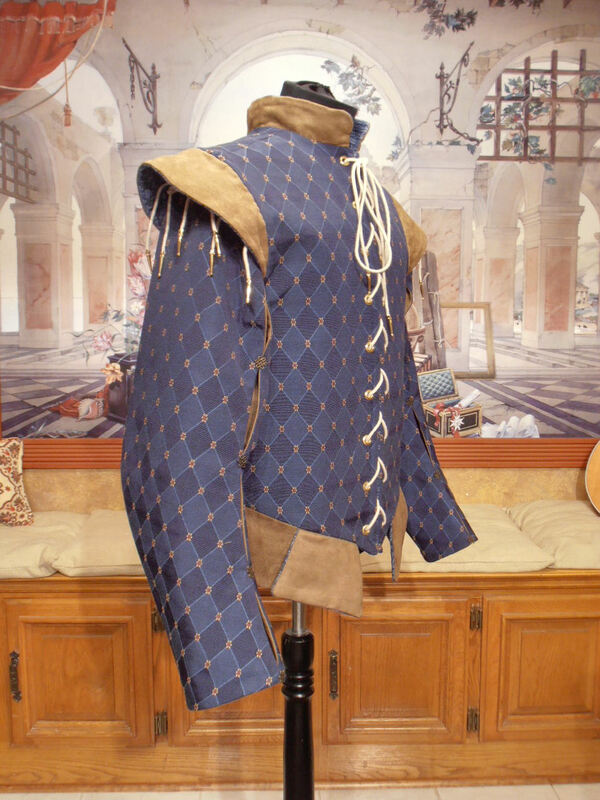 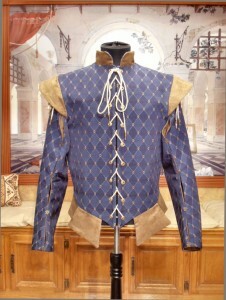 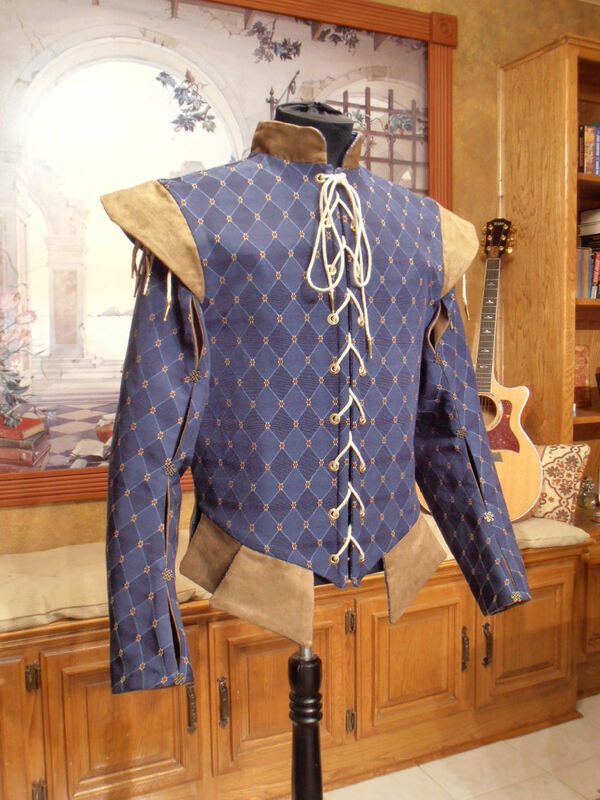 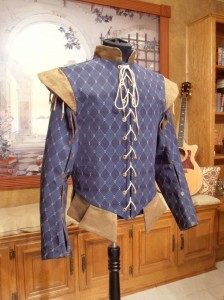 The elegant doublet is made with a an extremely high quality jacquard fabric in a stunning lapis lazuli color with an elegant woven harlequin design. 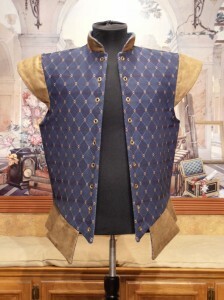 It is lined with a blue heavy weight basket weave fabric and interlined with heavy weight interfacing. 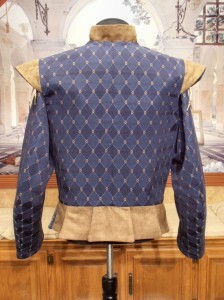 Boning has been inserted along the grommets for added structure and support. Natural cording laces through gold tone machine pressed grommets. The cording ends are crimped with aiglets for ease of threading and a nice finished look. The tabs at the shoulders and waist are made with a sumptuous tan suede fabric.